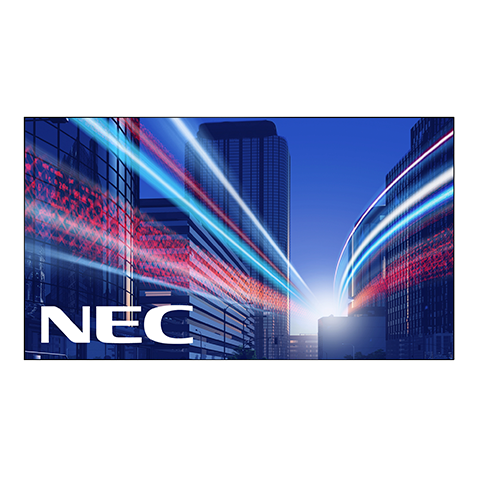 NEC Video Walls create unique event user experiences and ABCOMRENTS is your strategic NEC Solutions Partner to make it happen. 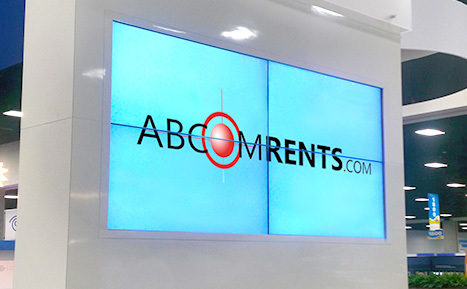 A strategic NEC Solutions Partner, ABCOMRENTS is your source for NEC Video Wall solutions. 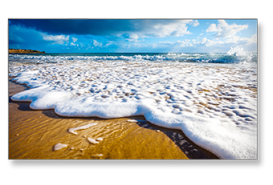 As the largest rental provider of the Ultra Narrow Video Wall Displays from NEC, we know our clients in the Rental & Staging Industry choose NEC based on innovative design, quality construction and dependability! 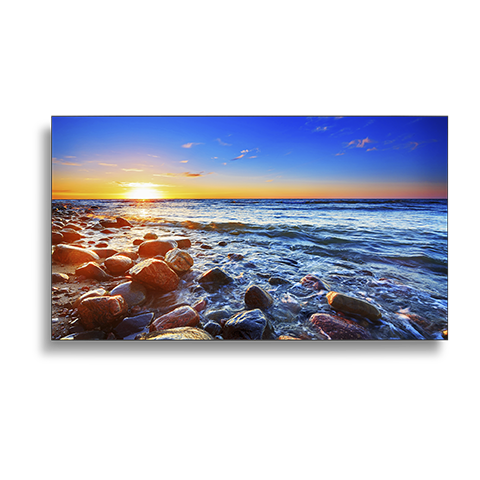 If you would like to rent a NEC Display, please contact us for a full service solution! Clients have asked our team to figure out how to mount or fly a video wall upside down. No joke! Had we done it before? NO. But can we? YES! We figure it out because that’s what we do… We have partnerships with some of the largest mounting manufacturers in the world, who will design, build and support just about any request. Our traditional mounting solutions are portrait, landscape, back to back, flown, ground supported and rolling stands. 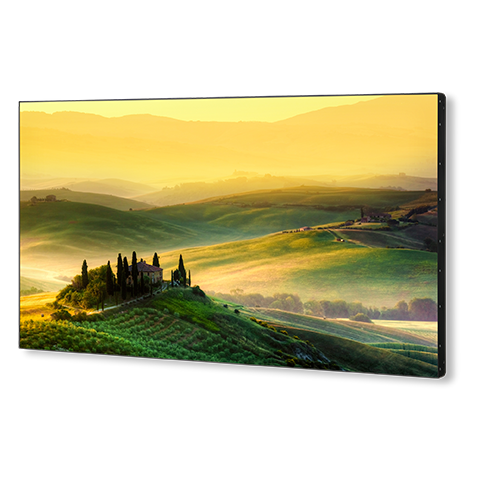 One of the most common ways to integrate your traditional video wall rental is in landscape mode. 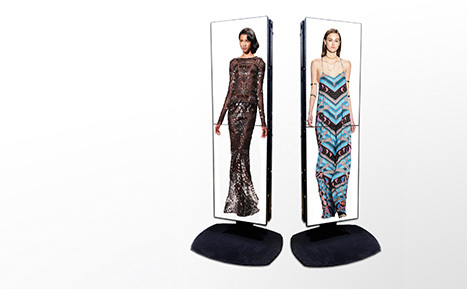 Turn your video wall on its side and go dramatically vertical with a display that is high, wide or unique like our digital mannequin display. There are limitless solutions when it comes to flying your video wall rental with our rigging solutions. Depending on your space limitations, we can take your video wall up high or down low. We have full service truss, motors and rigging solutions to optimize your video wall location. Without a wall, the most common solution for standard video walls is a ground supported dual pole floor stand. 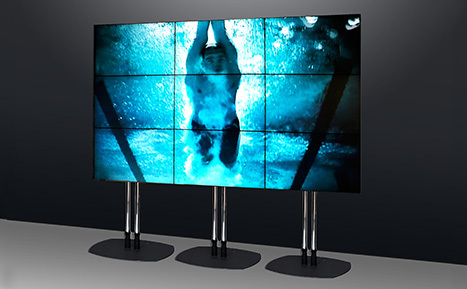 It can be in any configuration, stacked as high as 4 displays using 10’ poles. We also have solutions utilizing large scale video walls that can be ground supported using truss. 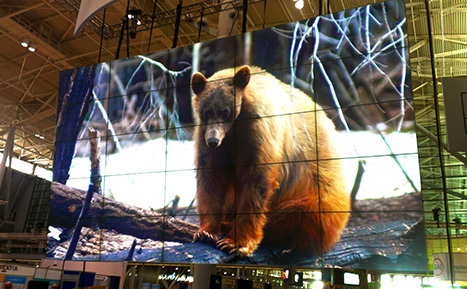 There are always unique situations that a client may need, like a video wall at a certain height off the ground to accommodate for stage sets, booth exhibits and signage. Let our team know your requirements and we will build your solution! 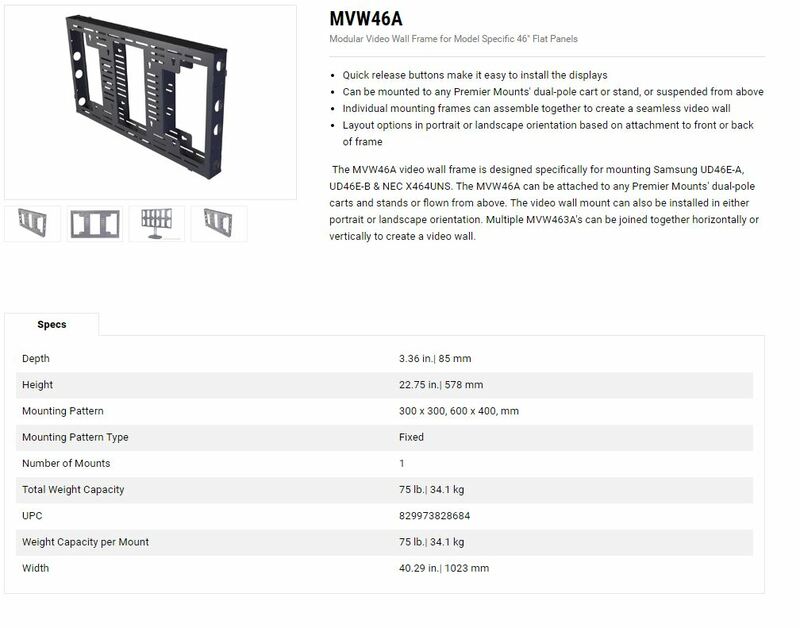 Reach out to a Video Wall Specialist today to inquire about our video wall rentals!